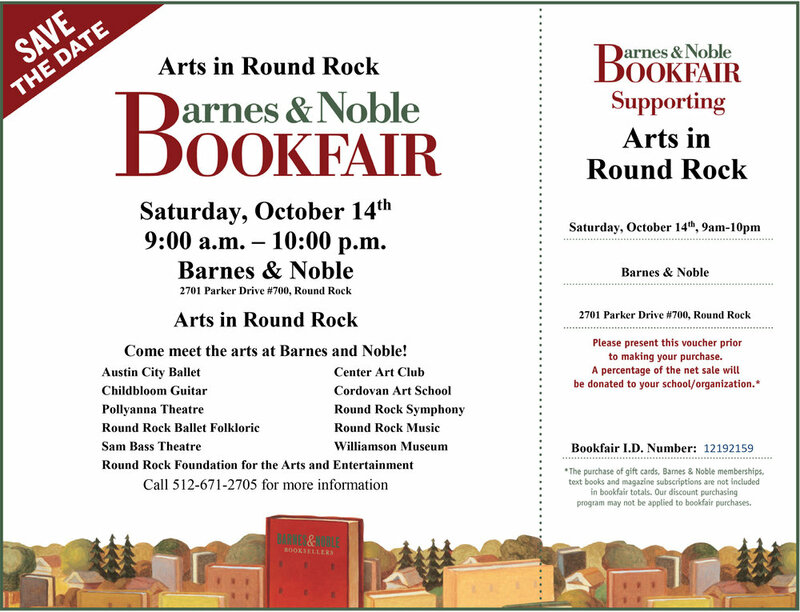 Round Rock Arts Day is this Saturday Oct 14th hosted by Barnes and Noble. We have selected members of Round Rock Music to perform this Saturday at 4:00pm. Below is the complete schedule of performers. If you are planning to make purchases please print off and bring the voucher you see here as a portion of the proceeds will go towards all these great arts organizations.